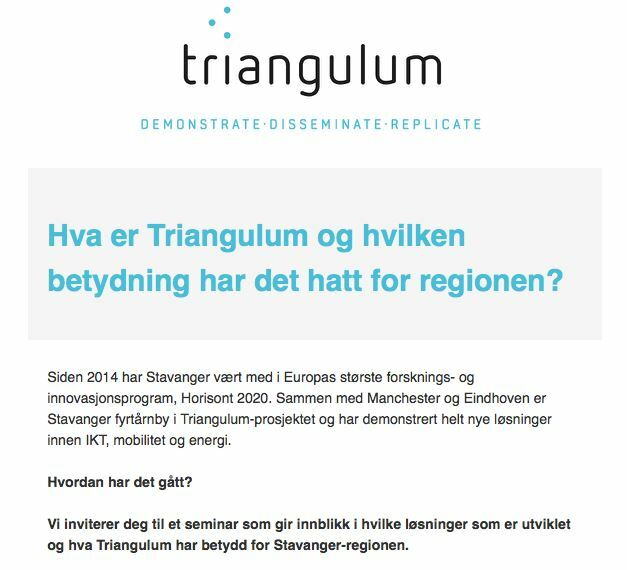 Triangulum | The three point project Triangulum is one of currently nine European Smart Cities and Communities Lighthouse Projects, set to demonstrate, disseminate and replicate solutions and frameworks for Europe’s future smart cites. The Stavanger region is the energy capital of Europe; it holds the European status as smart city lighthouse (among only nine cities in Europe) and is the Norwegian Smart Care Cluster on welfare technology. Further, the region has a high level of digital service development and provision, due to its high speed digital infrastructure (more and more commonly 1GB in/out in households). Eindhoven is the centre of the “Brainport Region”, today one of the three top economic engines of The Netherlands, delivering about 14% of the national GDP. The Dutch consortium consists of five partners: VolkerWessels, Woonbedrijf, Technische Universiteit Eindhoven, KPN and the Municipality of Eindhoven. With a total population of 2.6 million People, it accounts for the second largest economy in the UK. Industry sectors such as business services, ICT, digital and biomedical sciences are key to economic growth in Greater Manchester in terms of new investment, job and GVA creation. Manchester is the economic powerhouse of the North West region of England. Leipzig is one of the most dynamic cities in the heart of Germany with approximately 550,000 inhabitants (2014). After years of population decline and an above-average unemployment rate, Leipzig started to regain popularity during the last years and is successfully turning from a post-industrial into a modern, knowledge-based economy. Prague is one of the most attractive and successful regions within Central Europe. The combination of its rich cultural and historical heritage and its unique architectural and urbanistic value creates a phenomenon even on a global scale. Prague is the home and everyday living space for approximately 1.27 million inhabitants and concentrates approximately 12% of the Czech population. Prague generates approximately 1/4 of the national GDP and is approximately 50% above the national average in GDP per capita. Major universities and a number of research institutes (2/3 of public research institutions) are to be found in Prague, as well as the majority of businesses active in research and development. Sabadell is a Spanish City of 207,540 inhabitants (2014) and 37.87 km2, located in Catalonia (Spain). It belongs to Barcelona’s Metropolitan Region, where 68% of the Catalan population lives. In 2012 Sabadell pioneered the introduction of a Smart City programme in a structured, comprehensive and systematic approach complementing the implementation of new technologies for urban management. These measures included an increased level of 30% of LED installation in public lighting, of 13% of pneumatic waste collection, a 90% reduction of irrigation of parks and gardens and the implementation of remote management systems of air conditioning in 59 municipal buildings. 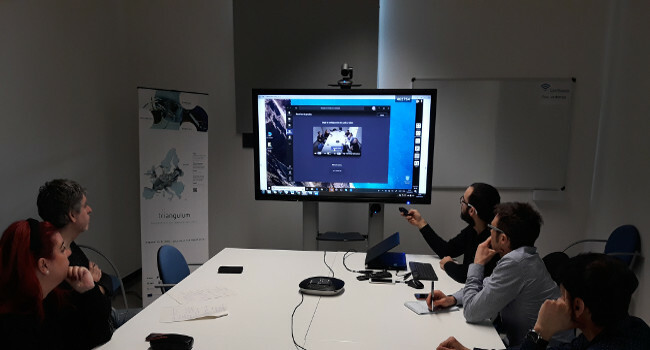 A videoconferencing room had been installed at the Industrial Business Centre of Can Roqueta, to be used by the companies located in this centre, as well as companies and entities throughout the city. This technology, mostly used in medium or large meetings, offers a high quality and comfort and facilitates exchange between local companies and other partners. It furthermore enables face-to-face meetings and presentations in their own space, and allows them to disseminate content through streaming systems to a wide public. The space is already operational and can be booked in two formats: a small one with the possibility of projecting from laptops or mobile devices (up to eight simultaneous devices, wireless option available) and a digital whiteboard or a large one, additionally including videoconferencing and streaming tools. The videoconferencing service incorporates HD audio and video reception and emission equipment, as well as access to professional videoconferencing software with the possibility to convene tele-meetings of up to 30 people simultaneously, although it can also be used with any free software available online. The high definition camera provides a 90 degree vision field, with inclined or panoramic zoom adjustable through a remote control, in addition to setting predefined plans. At the same time, the “hands-free” audio system through a base station cancels echo and reduces ambient noise, which allows sharper communication. It includes a 65-inch touch screen, which facilitates the projection of content from a mobile device or laptop located in the same room. Moreover, it can broadcast live content through streaming options and the screen can be used as a digital whiteboard. Our Follower City Sabadell develops a strategy of implementation of ten innovative solutions integrating the fields of energy, transport and ICT. In the case of videoconferencing, replication has occurred mainly in cooperation with the City of Stavanger, which has implemented the videoconferencing system in several homes for medical tele-assistance for the elderly. Thanks to the experience gained during Triangulum, Leipzig’s transnational project EfficienCE has been approved by European Commission within the Interreg Central Europe programme. EfficienCE aims at increasing energy efficiency and renewable energy usage in public transport infrastructures to reach local, regional and also EU energy targets. Most of the countries in central Europe have an average share of only 6.3% renewable energy and furthermore low applications of new technologies to increase energy efficiency in public transport infrastructures. So the countries are challenged with the EU’s target to achieve a 10% share of renewable energy in transport by 2020. Leipzig is moving on from being a Triangulum Follower City and will now take over the responsibility for the project and will lead a consortium of eight cities including Budapest, Milano and Parma, companies like Wiener Linien, and scientific institutes, e.g. University of Maribor or Gdansk University of Technology. The project has a budget of about 2.4 Mio. 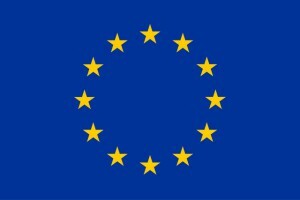 €. Partners will improve the use of renewable energy with measures like re-using brake energy of trams (Gdynia) or constructing an energy station with e-charging etc. (Maribor). Leipzig will develop an urban data platform with pilot cases in public transport and with a participative process of all relevant stakeholders. The aim of the project is to better exploit the potentials of data-based traffic planning and organization. The project will start in April 2019 and will last three years. 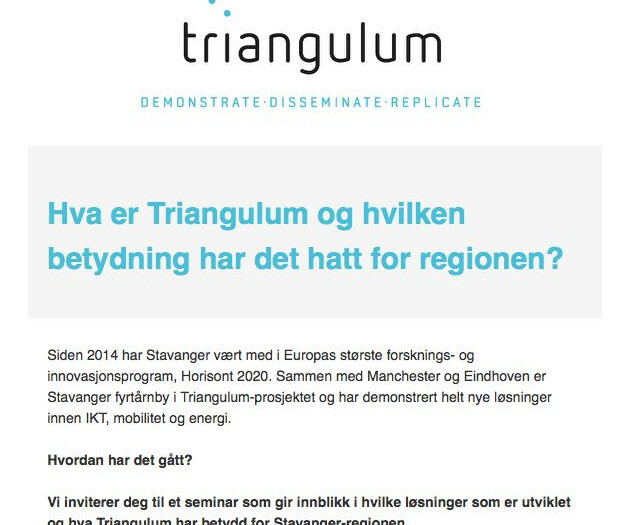 Cutting-edge concepts for smart district development are already emerging as part of European project TRIANGULUM. Project partners elaborating and implementing solutions for this, not just in theory, but with the clear objective of implementing these ideas within three years in Manchester, Eindhoven and Stavanger and then transferring them to the cities of Leipzig, Sabadell and Prague. The core of the smart city plan is a replicable smart city framework and an ICT architecture to connect and coordinate the different technologies in the city. Eindhoven is the center of the “Brainport Region”. The Dutch Consortium consists of five partners: VolkerWessels, Woonbedrijf, Technische Universiteit Eindhoven, KPN and the Municipality of Eindhoven. The Greater Manchester conurbation with a total population of 2.7 million people accounts for the second largest economy in the UK and the economic powerhouse of the North West region of England. The Stavanger region is the energy capital of Europe; it holds the European status as smart city lighthouse and is the Norwegian Smart Care Cluster on welfare technology. Sabadell is a Spanish City of 207,540 inhabitants, located in Catalonia. It belongs to Barcelona’s Metropolitan Region, where 68% of the Catalan population lives. Prague is one of the most attractive regions within Central Europe. The combination of its cultural heritage and its architectural value creates a phenomenon. Leipzig is one of the most dynamic cities in Germany. After years of population decline, it is successfully turning from a post-industrial into a knowledge-based economy. Tianjin is a Chinese metropolitan area. Its economic output is currently twice that of the national average, and infrastructure projects are under development to support this growth.